How can modern workforce execution automation provide an audit trail of compliance and insight as to where problem spots exist? Which aspects of automation help to reduce or prevent the creation of compliance risks that arise from manual workforce execution methods? These and other questions about the benefits of automated workforce compliance execution will be addressed in this webinar. 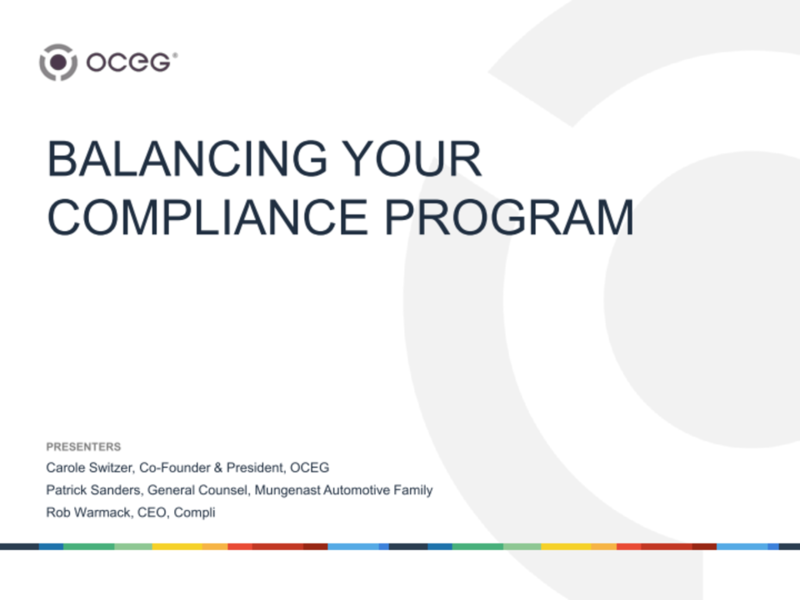 We have emailed instructions to access Balancing Your Compliance Program: The Power of Automated Workforce Execution Slide Deck to . Make sure the email arrives in your inbox: either add "support@oceg.org" as a safe sender to your email platform, or if you use Gmail, drag our email into your Primary tab.